I just would like to say many blessings to all who have read the blog and followed it through last year. Until it was confirmed by Barclay himself, I only knew out of inference before 2012 that Mark T. Barclay was teaching falsely on the Trinity. It was from Barclay’s clear lack of understanding basic teachings such as the saving nature of grace, justification by faith, sanctification/holiness, union with Christ, and the resurrection of Christ that I knew it. I even thought for a long time that Mark T. Barclay was just fumbling like other Word-faith teachers at basic Christian doctrine. The clarity of the Gospel was missing in both Barclay’s books and teachings, and this is because the Trinity was missing, which furnishes the keys to all other doctrines in the entire Bible, thus Mark T. Barclay was teaching a different Christ and prophesying by a different Christ. Moreover, Mark T. Barclay is a heretic who just doesn’t fumble at basic Christian doctrine like many of his pastor followers, but Mark is a false teacher as the Church has declared and self-condemned as Scripture says about other heretics, because of his evil teachings on the Godhead. A “God” who is made up of parts as Barclay heretically teaches can’t save. Only the Triune Jehovah of Scripture who the Church has faithfully preached saves. The glorious God who is alone Triune in personality, being God the Father, God the Son and God the Holy Spirit is the only one true God and Saviour, because it took all members of the divine Trinity to redeem sinfully lost mankind. So, if you are reading this blog and you don’t know God, and you want to personally know God who is Triune and glorious, you can. It takes repentance and belief. No sin is small and an all sin deserves damnation. Only through believing and totally trusting in Christ can you be saved from eternal hell and have eternal life and given the gift of righteousness. Only by resting on Christ alone and by grace alone can you receive justification and eternal life. 1. Mark T. Barclay and the Prosperity Gospel. 2. An Assessment on Mark T. Barclay’s False Prophecies Part 2. 3. Mark T. Barclay and Modalism: The Man Outside Ecclesia. 4. Mark T. Barclay Vs George W. Bush. In this post, I want to explore what is a cult and what differentiates Mark T. Barclay Ministries, Jehovah’s Witnesses and others like the Mormons from Christian orthodoxy. As we have seen before in the last few post, like other heretical groups Mark T. Barclay’s teaching on the Holy Trinity is much different than what the Church has taught for the last 2000 years, from the time of the Apostles and to what was ratified in 325 A.D at Nicaea and handed down by the Church fathers in the Nicene Creed. The Church has stated along with the authority of the Bible that God is divine eternal persons and not parts or manifestations, but one God in three eternal, and co-equal persons, being God the Father, God the Son and God the Holy Spirit. Whereas Barclay has taught that there was change in the Godhead and they are not persons, but one God with three parts, like his son Josh being body, soul and spirit. The Church clearly condemned Mark T. Barclay’s teaching as heresy, because it is a terrible distortion of the doctrine of the Trinity revealed in Scripture and it is outside Christian orthodoxy. So what is a cult and why is Mark T. Barclay Ministries, Jehovah’s Witnesses and others considered by the Church as cults and teaching heresy? The answer is because their teachings are not orthodox in that they have distorted cardinal teachings like the Trinity, the Person of Christ, and the saving nature of Grace. Here are a few quotes from a few experts, including Walter Martin. “A cult, then, is a group of people polarized around someone’s interpretation of the Bible and is characterized by major deviations from orthodox Christianity relative to the cardinal doctrines of the Christian faith, particularly the fact that God became man in Jesus Christ” (Walter Martin, The Rise of the Cults, p. 12). 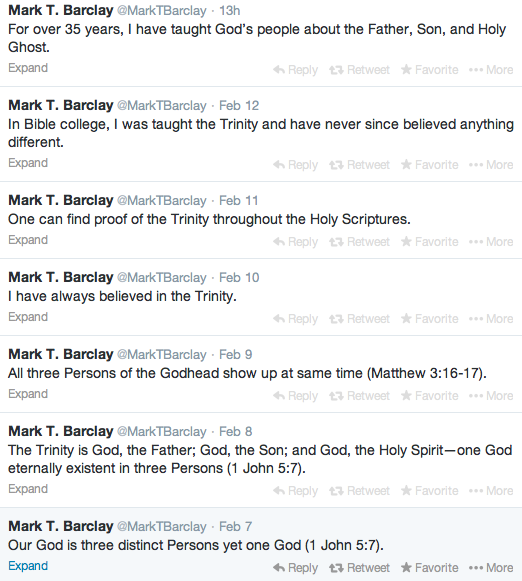 Here we can learn that Mark T. Barclay not only has the doctrine of the Trinity wrong, but as stated briefly before he also has Christology wrong. The Creed above says that Christ is light from light and God from God. The early Church fathers against false doctrines concerning the nature of Christ stated along with the authority of Scripture that Christ is indeed fully God and fully man, not a part, but the Second Person in the divine Trinity. The verse I want to focus on is verse 3 which states that, “He(Christ) is the radiance of the glory of God and the exact imprint of his nature”. In other translations like the NIV it says the “exact representation” like in the production of perfect coins being imaged stamped which in greek it is “charakter” meaning “exact duplicate” of the nature or being(Greek hypostasis) of God the Father in every way. Moreover, whatever God the Father has in attribute and power the Son has and is an exact duplicate of the Father’s being or substance. “The image stamped on coins, seals, wax, expresses the idea: and the sense here is, that if God be represented under the idea of a substance, or being, then Christ is the exact resemblance of that – as an image is of the stamp or die. The resemblance between a stamp and the figure which is impressed is exact; and so is the resemblance between the Redeemer and God”. So thus far, though contrary to what groups like Mark T. Barclay Ministries and Jehovah Witnesses teach. We have learned from Scripture that the Lord Jesus is the exact representation of the Father, an exact duplicate of his being (hypostasis). We also can learn from this passage that there are personal distinctions in the Godhead and different but united roles in redemption. The Father is the Father and the Son is the Son and not the Father, nor is the Father the Son. There is no confusion of persons, but they are one. If Christ is a duplicate of the Father’s exact nature of being(hypostasis) from the passage we unpacked above, then what does Scripture say about him? Well, Scripture tells an entirely different Christ than cults falsely teach. The Lord Jesus is not only an exact duplicate of God the Father’s being, but in Jesus dwells all the fullness of deity in body form. As we can see from the Scriptures above, Mark T. Barclay like other heretics utterly fail at proper exegesis of Scripture and this is because he is teaching by the spirit of error. Christ is not just ‘a part’ of God as Barclay falsely teaches, but Jesus is fully God, being the only begotten Son. If all fullness of deity dwells bodily in Christ, then we also know that of course all fullness of deity dwells in the other persons of the Trinity. Meaning, the Father who Christ exactly duplicates is fully God, and the person of the Holy Spirit is also fully God. So does this mean that there are three gods? 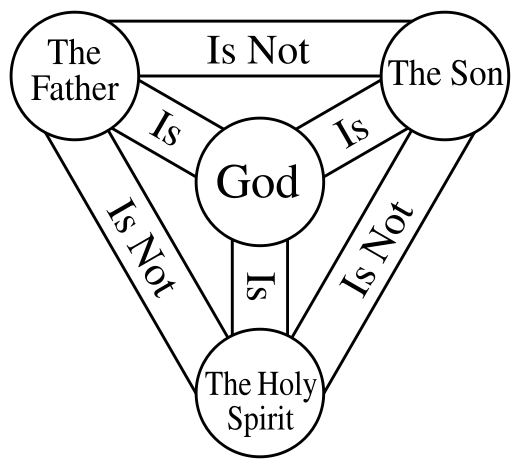 No, the doctrine of the Trinity states that God is simultaneously one and three. The Trinity is a mystery, but we know that all persons are fully God and that there is only one God. The Father is God, the Son is God, and the Holy Spirit is God, each person is fully God, but there is only one God. So using a little deduction we learn: 1. 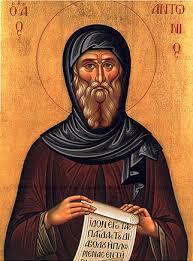 All Cults deviate from orthodoxy. 2. Mark T. Barclay Ministries deviates from orthodoxy. 3. Therefore, Mark T. Barclay Ministries is a cult. 1. “In heaven Jesus was not known as Jesus, he was known as the Word. In Genesis Chapter. 1, it defines the Trinity of God, the three parts of God. You are made by the way after his image, three parts. There was a Creator, he was later called Jehovah. There was his word, later on when he come here God said you call this baby, not the Word, but Jesus which really means Yahshua….and then of course the bible talks about the Spirit of God……now these aren’t three different people. We teach them sorta, kinda almost as three different people for the sake of teaching. Now that Creator, Word and Spirit for the sake of man understanding and relating was changed by God, you can read it in the Scriptures, I know you know this, forgive me this so elementary. But it was changed to Father, Son, and Holy Spirit.” Mark T. Barclay, Jesus the command giver. 3. Wayne Grudem, An Introduction to Biblical Doctrine, Pg. 236. 4. http://bible.cc/hebrews/1-3.htm Barnes notes on the bible. 5. The Jesus that Mark T. Barclay is preaching is a different Jesus…..Any so called hired “cult expert” by Barclay should have figured that out if indeed their credentials where true, but then again money can buy many things, including so called experts with shady backgrounds and financial problems. 6. I am sorry to inform many of you who say that “Mark T. Barclay is my pastor”. Mark T. Barclay cannot be your pastor, because he is not in your church administering Word and Sacrament on a weekly or even bi-weekly basis. Only on a cultic level can Mark T. Barclay be ‘your pastor’. 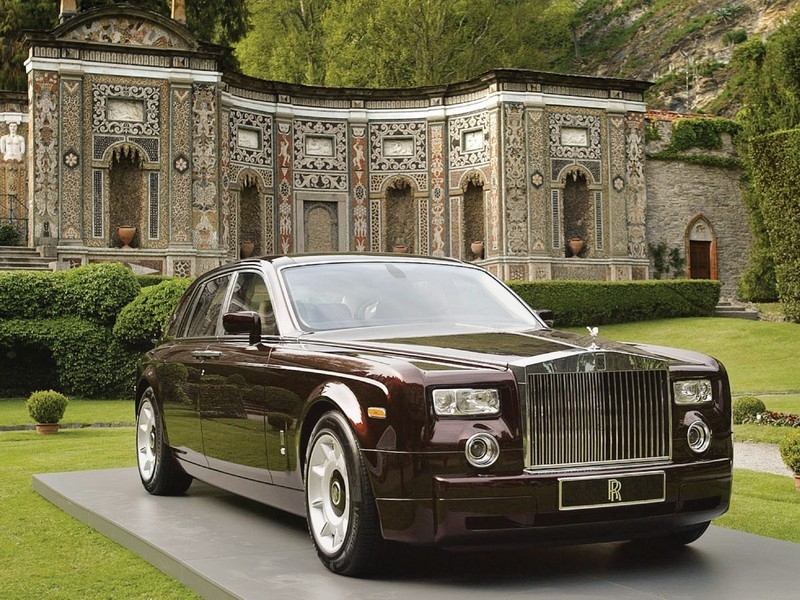 Just think of all the tithes and offerings that you robbed your own church of and has gone into the hands of a cult! So what are your credentials? Why should I trust anything you say? For that matter why should anyone? What is your real problem with Dr. Barclay? He Further Writes…If you knew Dr. Barclay you would realize his teaching/training to those of us credentialed with him is biblically sound. He himself states that what he is saying is not extra Biblical revelation. You have to follow his teachings more closely to understand that though. He teaches over and over that no one should blindly follow anyone. We don’t blindly follow, we have tested the relationship, the man’s life and his doctrine and all of them are shining like gold. Relationship is what the Gospel of Jesus is all about. Fight the fight it is for your faith! Every believer has been given the privilege and the right to recognize false doctrine and false teachers by the third person in the Trinity. Not one of God’s children including myself needs ‘special credentials’ as you are seeking. Mr. Cottle, read your bible! But if you want to know my credentials they are such, unlike you I’ve been taught by leading biblical scholars who are Anglican, Pentecostal, Lutheran, and Reformed from all over the world and I study have studied to show myself capable. By the way, if it’s any indication by the first men who Jesus picked, you would know what the Lord Jesus thinks about degrees such as PhDs! If you listened to sound doctrine, you would hear what I’m saying, because what I’ve wrote are things which aren’t myself, but what the church has stated over and over about who God the Trinity is and the salvation which was purchased by the Lord Jesus Christ precious sacrificial life, death and resurrection. These are things which Mark T. Barclay has twisted and erroneously taught in heretical error just like his false prophecies. Moreover, sound doctrine does matter and those who are the true church, which some have called the invisible church will listen. They are whom who will hear what I’m am saying, those who are children of God by grace of adoption and true members of Christ by sanctification of the Holy Spirit. You Samuel, though are very ignorant of basic christian doctrine such as the teachings on who Christ is being the God-man, the Holy Trinity, and the saving nature of Grace by the substitutionary atonement of Christ. Teachings that are central to the gospel are not in your vocabulary, but Barclay is. I say all of that because you have stated that you and your other Preacher of Righteousness members have tested your relationship with Mark T. Barclay and “the man’s life and his doctrine and all of them are shining like gold.” That’s absolutely frightening that you would say something like that and you are a pastor, given Mark T. Barclay’s heretical teaching on the Holy Trinity. Heresy doesn’t get more clearer, but then again you are very ignorant! I have come to the conclusion that you don’t know what sound doctrine is or even care what the bible and the church has stated about who God is three in one, eternally Father, Son and Holy Spirit. The Trinity is so completely foundational in Christian doctrine that all other doctrines in the New Testament are connected to it and Barclay clearly stands outside Biblical orthodoxy and Evangelicalism teaching that God is parts and not persons and teaching their eternal names were changed. Which teachings are so completely erroneous such things only heretics have taught. This will probably be a shocker to you, but what Mark T. Barclay teaches is extra-biblical, because his formulation of the doctrine of the Trinity isn’t found in Scripture and you are ignorant enough to write me that his doctrine is as good as shining gold. Now, Mr. Cottle, you couldn’t of tested that upon Scripture and it’s very possible that your ignorance is from deception, because you’ve believed a lie over the biblical truth of the Trinity. True worship must be governed by God’s self-revelation as Father, Son and Holy Spirit. The church throughout history has endeavored to be faithful to this truth in her liturgy with constant affirmation of the Trinitarian faith as in the singing of Trinitarian hymns as the Doxology. Thus, true worship is Trinitarian and only. It’s not just Jesus nor singling out one of the other members of the personal Trinity, but worship is rendered to the Father through the Son and in the Holy Spirit. Furthermore, worship garners its sharpest focus in the Eucharistic celebration and the church is most truly the church as it celebrates both the Eucharist and baptism. This is the Trinitarian pattern of worship the Lord Jesus Himself gave to his church and has been celebrated by Christians for thousands of years. This is in stark contrast to Mark T. Barclay’s liturgy which is based on Word-faith tradition. Such practices are not Eucharistic nor Trinitarian, but centers on the unsound exhortation of the offering time, which were born out of the heretical prosperity gospel and thus have warped the means of Grace. I wont even ask you if you believe in the Evangelical doctrine of the Trinity, because you clearly don’t have a correct understanding of who God is and isn’t. Nor do you worship as the church has worshipped in Trinity by following Barclay’s heresy. Mr. Cuttle, you clearly need deep repentance as Mark T. Barclay, because with other heretics Barclay stand outside the church. P.S. Mr. Cottle, I would like to thank you for advising me to follow Mark T. Barclay’s teachings more closely. It was only out of inference that I knew Barclay didn’t understand basic bible doctrine like the Trinity and the saving nature of grace, but now I know straight from the horses mouth. P.S.S. 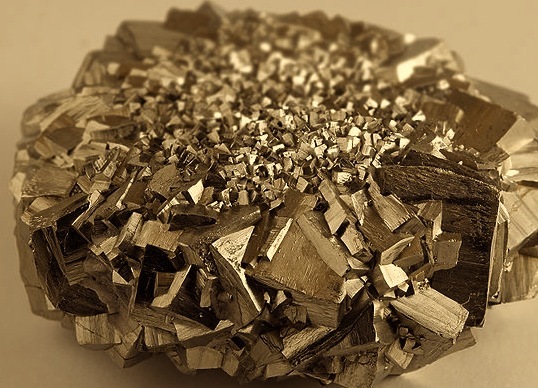 You better get that gold checked out again, because according to the church’s creedal statements and liturgy you’re holding fools gold!